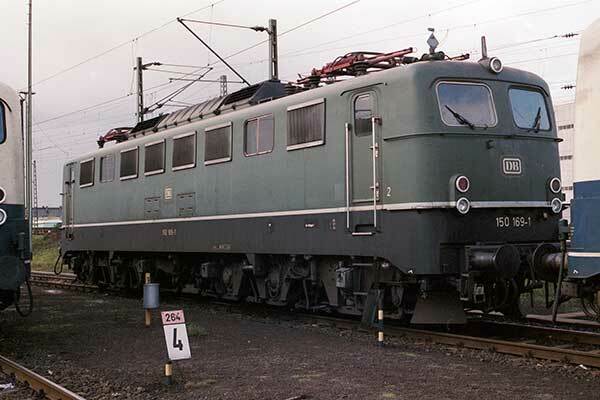 Caption - Deutsche Bahn 150 169-1 is an E50 Co-Co electric locomotive built for heavy freight between 1957 and 1973. It is one of the Einheits-Elektrolokomotiven (standardised electric locomotives) for replacing steam traction. In 1968 the E50 series became BR150. The class of 194 locomotives was withdrawn by 2003.